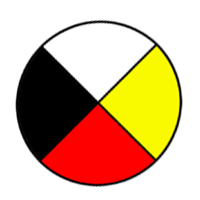 WECDSB is working with the Aboriginal Education Office of the Ministry of Education and our Local First Nations, Métis and Inuit communities to support and develop programs and to provide student support to help us realize the goals set out for our First Nations, Métis and Inuit students. The Aboriginal Education Department of the Ontario Ministry of Education has directed school boards to develop a voluntary self-identification policy to allow schools to identify First Nations, Métis and Inuit students. Other Provinces and most Ontario school boards collect this type of information to help them create effective and relevant programs for First Nations, Métis and Inuit students with a goal to reduce gaps and increase FMNI student achievement. This will enable us to create a baseline measure for assessing programs already in place and developing new programs relevant to our First Nations, Métis and Inuit students. We are guided by Our Journey to Holiness values which is the foundation for our Catholic Character Development. 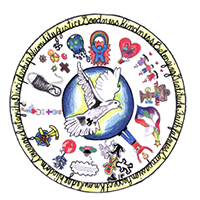 These principles are also reflected in the Seven Grandfather Teachings and in the Good Mind teachings as shared by the local First Nations, Métis and Inuit Community. It is here where we meet.